How Many Breaths Per Minute Is Normal? Breathing is a spontaneous process which occurs automatically without our awareness. It is written in the ”Hatha Yoga Pradipika”, the ancient text on yoga: “Life is the period between one breath and the next. A person who only half breathes, only half lives. He who breathes correctly acquires control of the whole being.” The ancient yogis were fully aware of the importance of breath, they knew how to breathe correctly and hence lived a healthy and long life. In yoga, it is said that each person has a fixed number of breaths allocated to him. If one breathes slowly then one will live longer, as he consumes lesser breath in a fixed time. If one breathes rapidly the given number of breaths are used up more quickly resulting in a shorter lifespan. This means that the negative frame of mind or you can say tension, fear, worry, etc. during which one breathe rapidly, lead to bad health, unhappiness and of course a life. A person who breathes slowly is relaxed, calm and happy, which is conducive to longevity. The normal respiration rate for an adult at rest is 15 to 20 breaths per minute. A respiration rate under 15 is not normal. Similarly, the breath rate over 20 breaths per minute is also not considered normal. A person who breathes quickly tends to inhale small volumes of air and exhale the same small volumes. This results in a large part of lungs remaining unutilized and hence allowing germs to accumulate in those lower areas, resulting in ill health. Conversely, a person who breathes slowly tends to also breathe deeply and thereby fill the lungs to a greater depth. This helps to remove stagnant air from the lower reaches of the lungs and to destroy the breeding ground of germs and the germs themselves. Deep breathing also imparts a good massage to the abdominal organs via the diaphragm. The massage of the liver, pancreas, digestive organs, etc. keeps them in good health by expelling impure blood and allowing pure, oxygenated blood to replace it. 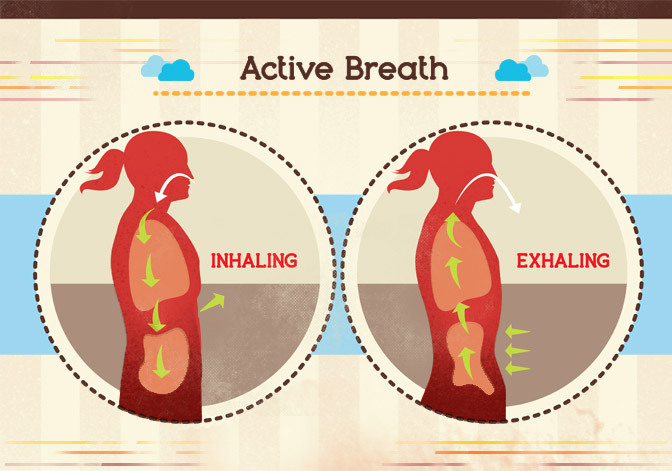 Rapid and shallow breathing also leads to insufficient oxygen in the body. This results in functional disturbances, as the nerves and different organs of the body remain ill-nourished, for they depend completely on oxygen for survival. So the advantages of deep breathing are obvious. Now we talk about slow breathing. One must know that the time is required to transfer oxygen from the lungs to the blood and for carbon dioxide in the blood to be transferred into the lungs for expulsion into the air. If one breathes rapidly, then the optimum oxygen and carbon dioxide exchange are not reached in the lungs. If the respiration is slow then the optimum transfer can be achieved. This is why the depth and speed of breathing are so important in relation to each other. The deep breathing allows maximum intake of each respiration and slow breathing allows the optimum exchange of oxygen and carbon dioxide. There are a large number of factors that influence our breathing. The relaxed way of life encourages correct breathing. Modern man through fear, competition, and hatred does not allow the respiratory system to work as it should. He takes quick shallow breaths. Compare this with the life of a man living in old those days or even a villager, who is relaxed and have a good breathing rhythm and consequently good health. If we take a cold shower, automatically we breathe deeply as it is a conditioned response. A cold brisk atmosphere also encourages deep breathing. Today people have to learn how to breathe properly. 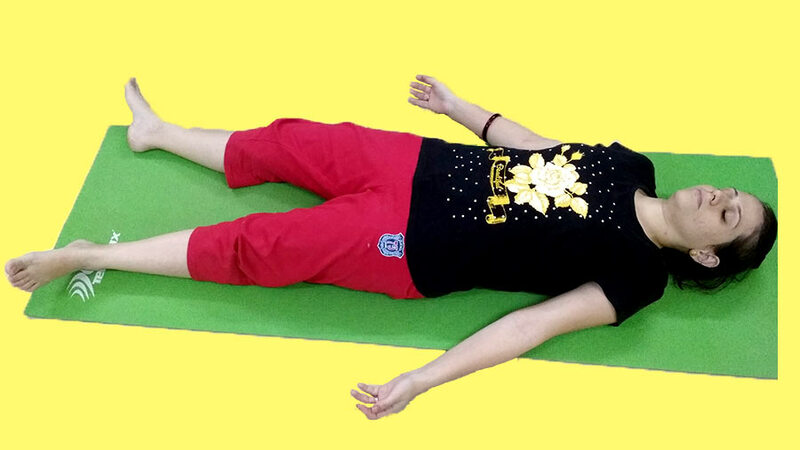 They have to reactivate their nervous reflexes so that their breathing becomes normal and harmonious to life and health. Think of how many diseases are caused or at least aggravated by faulty breathing. These include asthma, bronchitis, pulmonary tuberculosis and large numbers of other ailments indirectly caused by starving our body of the oxygen nourishment that it needs as a result of shallow respiration. A person who is reasonably relaxed inhales and exhales approximately half a liter of air at a time. This is called the tidal volume in physiology. Now if that same person expanded his chest and abdomen to the maximum, and thereby drew more air into the lungs, it would be possible for him to draw in approximately an extra two liters or air. This is over and above the normal half liter that can be inhaled. This extra volume of air that can be inhaled is known as the inspiratory reserve volume in physiology. If after normal expiration the chest and abdomen are contracted as much as is comfortably possible, then it is possible to expel an extra one and a half liters of air from the lungs, over and above the half liter that is exhaled during normal respiration. This is referred to as expiratory reserve volume. There is also some air that will remain in the lungs even after the deepest exhalation. This is due to the fact that the lungs can never be fully deflated; the lungs can never be squeezed sufficiently by the chest and the diaphragm to remove all the air. This is known as the residual volume. It is generally in the order of one and a half liters (1.5 liters). 1/2 litre (tidal volume) + 2 litres (inspiratory reserve volume) + 1 1/2 litres (expiratory reserve volume) = 4 litres. This gives a total of four liters, which is eight times the normal volume of inhalation and exhalation. Most people while sitting or relaxed breathe less than half a liter of air and so their lung usage is actually less than one-eighth their capacity. It is for this reason that learning to breathe properly is so important.